It’s so rare these days to find contractors (licensed and otherwise) whose prices are fair and who do what they say, when they say it will be done and, when finished the results are above expectation. The fan area on inverters needs to be kept clean. Use a slightly damp rag to remove any buildup. What maintenance is required on a grid-tied solar system? Do not use anything that will scratch the glass. Scratches cause shading and potentially lead to cracking. For those who do not want to clean their own panels, Synergy recommends a quarterly service from North Coast Solar Clean. 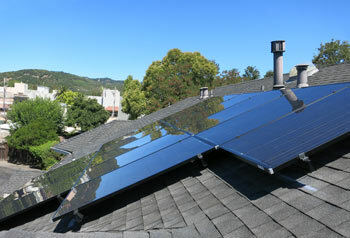 David Moore can be reached at 707-829-3471 or visit http://northcoastsolarclean.com/. 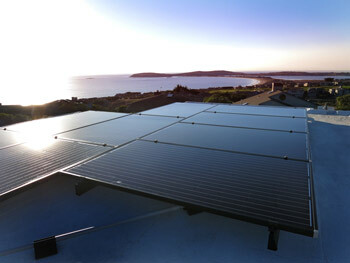 Clean panels produce more energy. Keeping them clean, whether you do it yourself or use a professional service, will pay off in the long run. What is Sonoma Clean Power and should I choose them or PG&E? Can I use solar to charge my Electric Vehicle? Yes you can. This will increase the size of the solar system to be installed to cover the additional Kilo-watts used for charging the car. See our two blogs that cover the Chevy Volt specifically, and the costs of charging a car in general: Driving on Sunshine and 30 years of fuel for the equivalent of $1.00 a gallon, anyone interested? Rates schedules with PG&E usually have differing rates during the winter and summer. While most traditional rate schedules charge a flat fee per kilowatt (usually commercial) or a tiered schedule (usually residential), monthly charges are figured out by how many kilowatts are used for the entire month. An NEM rate schedule from PG&E also considers what time of day energy is being used. PG&E charges more, or credits more based on the demand for electricity. Demand is usually the highest during summer days, when air conditioning units, office equipment and machinery are at their highest usage. This peak time offers a benefit to most solar customers, since this is when the solar system is “Over Producing”, often allowing for significant credits to be accumulated during the summer months. Does solar affect how I use my energy? Not with a grid-tie solar system. All appliances, lights, power tools and other electrical devices work as they always have. If a solar customer has selected a time of use (TOU) rate schedule, they may choose to use less electricity during the summer months, especially during the afternoon, to maximize their “peak credits”. Other suggestions would be to do landscape watering, dish washing, laundry, etc in the morning when the cost of energy for TOU customer is less expensive. How does my PG&E bill change when I go to a solar system? 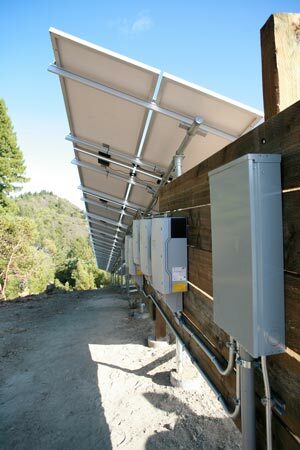 Most customers who chose a grid-tie system, select a net energy metering rate schedule with PG&E. The most noticeable changes customers experience are that the main electrical costs will go to an annualized billing, and a second monthly statement will be received. How does the Federal Tax Credit (30%) work when going to solar? The entire costs of installing a photovoltaic solar system can receive the 30% federal tax credit. It can be calculated as 30% of the system cost. The Federal 30% tax credit has been extended to run through the end of 2019. The credit steps down to 26% in 2020 and then to 22% in 2021. The final invoice showing the system cost is all that is usually needed for an accountant. If a credit cannot be used entirely in one year, it can be rolled forward into future years. The above description is the usual policy, but it is highly recommend you speak to your accountant to verify your specific situation. What can be included in the Federal Tax Credit? Often other costs can also be included in the credit. For ground mount systems, this can include land clearing and running new electrical lines. For all systems, the electrical components, new sub-panels, and meter-main upgrades required by solar can qualify. DC, or direct current, is the type of energy produce by solar panels and battery chargers. Batteries store DC power for later electrical use. DC energy only flows in one direction. To use DC power in most homes an inverter is needed to convert DC to AC power – see below. AC energy, or alternating current, is the type of energy we use in most homes and businesses. Unlike DC energy, AC energy periodically reverses direction. What is the function of the inverter(s)? In a grid-tie system, the inverter converts the DC energy produced by solar panels to AC energy most of us use in our homes and businesses. 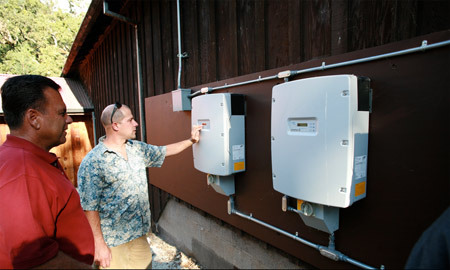 In a power outage, inverters cycle, no longer pushing energy out to the grid, to protect line men fixing the outage. In an off grid system, the inverter may also manage the charge controlling of the batteries and integrate to other producers, like wind and hydro systems. Does solar energy produce electricity on foggy/rainy days or in partial shade? Yes, photovoltaic solar is dependent on light and will produce energy in the fog or rain, but at a lower level. Shading from trees, chimney’, power poles, etc, is taken into consideration during the solar system design, and new technologies may allow ways to minimize the effect of this shading on production. Will my roof be able to support the weight of a solar system? A solar system, on average, adds about 3-4 pounds per square foot to the weight of a roof. Most roof designs can to easily handle this increased weight. What is the typical payback in years of a solar system? Most residential systems we work with have a 7-10 year payback. Variances in the time are caused by several factors, including the current electrical usage, the rate schedule from PG&E, whether the system is a roof or ground mount, and the ease of installation. Usually a customer paying over $100 per year, can install solar and have a positive cash flow when you consider the rebates and credits available.